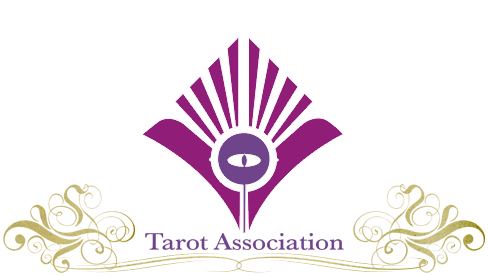 The Tarot is read through relationship between symbols and cards in the context of the situation. It provides us metaphors which can be applied to both pulling apart a challenge and putting together resources for a solution. 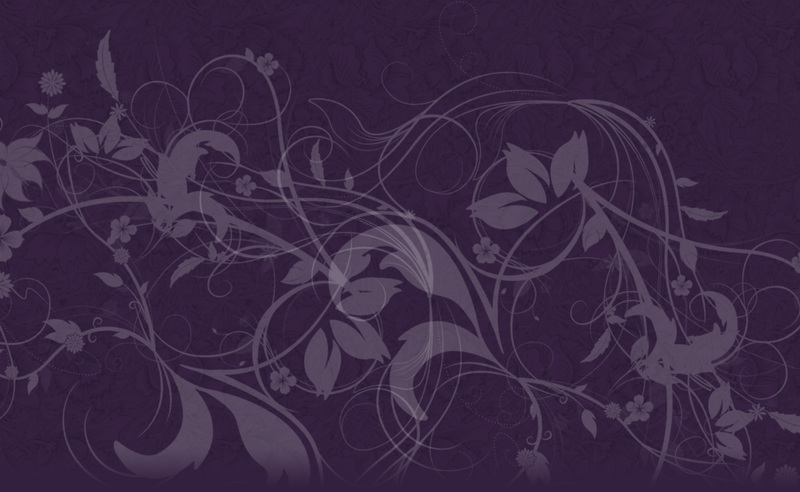 Our own minds are pattern-makers as much as they are pattern-breakers. So, a reading is a re-thinking of our relationship with the way in which we see the world and changes the way in which it is arising. 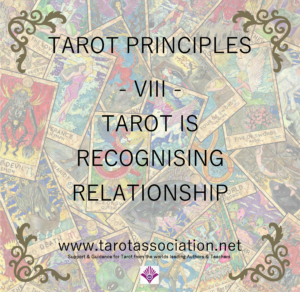 Remember then, from the very beginning, that you are engaging with the cards in relationship to the very highest and lowest principles no matter what is communicated. 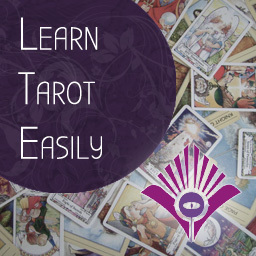 Taking time to read tarot is a form of meditation or contemplation. It is a form of mindfulness. It is a form of remembering our own presence and place in the universe. It connects to our deepest story and offers a recognition of our own relationship to the past and future. A reading places us, no matter how briefly, at the centre of our universe, present and correct. That we can see life through symbols and the metaphors of each card is a miracle in itself. It implies that life itself is a miracle, full of invisible connections that bind the universe together. 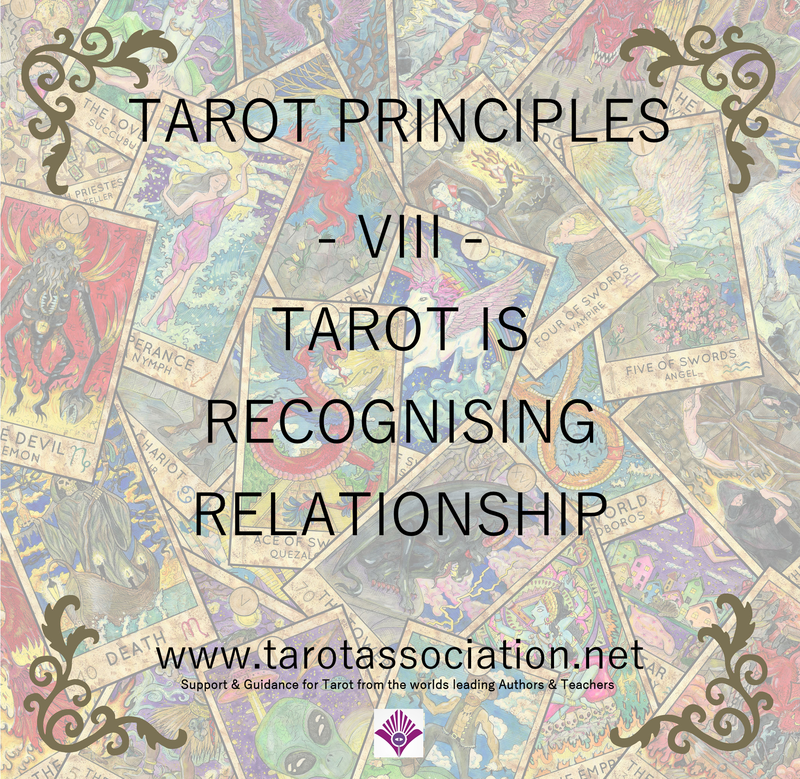 As we have now established several fundamental principles in our approach to tarot, we can start to look at meanings and interpretation. It is important to understand first that the cards are multivalent and open to any interpretation before we even begin to look at ‘meanings’. The answer to “what does this card mean?” to any reader trained in Tarosophy is simply, “Possibly Everything”. We should quickly look at a few technical definitions as they apply to our approach; ‘symbol’, ‘metaphor’, ‘meaning’ and ‘interpretation’. You can skip over this following semi-semantic analysis and discussion if you just want to get practising – but please do come back to it at some point! As far as this lesson needs it, a SYMBOL is found where we choose any part of a card and relate it to something else. Examples: The figures falling from this tower are your old plans failing; the blue sky behind the Knight is your clarity in the future; the Crown is a symbol of Kether on the Tree of Life; the child is you, giving yourself the gift, which is excitement. Sometimes a symbol points to another symbol, which in turn points to something in the situation. 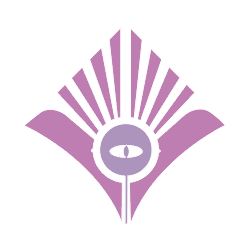 This is usually through correspondence; “the crown symbolises Kether on the Tree of Life which represents the highest ambition of the project”. A METAPHOR (in its simplest terms) is a collection of symbols which makes a story – which in turn, can also relate to the question or situation. Example: turning 7 symbols into a metaphor for a single emotion; The man in a dark robe, bowed down in contemplation, behind which are a particular number of cups, which are spilt, and there is a bridge, over a river, with a building on the other side of it … is a picture of your disappointment. A MEANING is a really complex issue, but for the sake of our purpose, it is a reference to something abstract or real that applies to the situation. 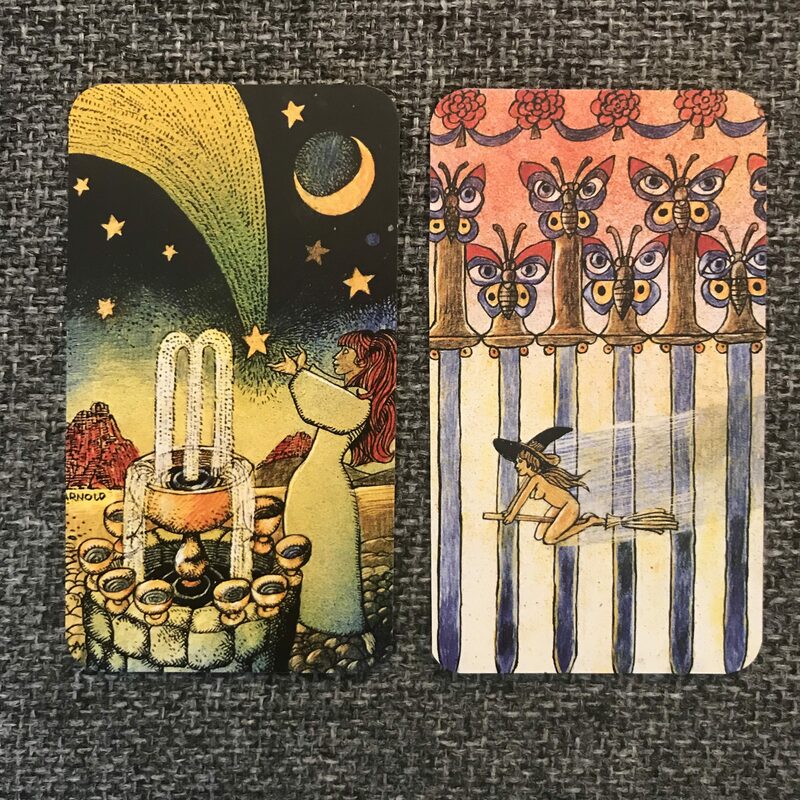 Examples: This card means that the problem will be over swiftly; this symbol means you will not succeed if you continue to work alone; this reading means that you will be happy with your new relationship. 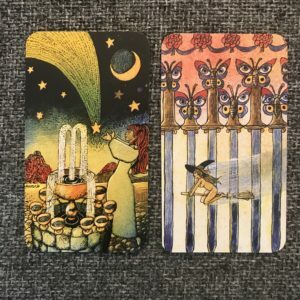 A card does not really ‘mean’ anything until we make a correspondence to the situation from the symbols and metaphors that are illustrated by the cards. An INTERPRETATION is the activity or process of bridging the SYMBOLS and METAPHORS by giving them a MEANING in relationship to a situation. Example: “I interpret this card, particularly due to the symbol of the toppling crown, and the overall metaphor of a collapsing tower from which people are ejected, as meaning (in this case, for your situation) that you will not succeed if you continue to work alone”. This is still all about relationship – relating symbols, relating cards to the world, relating our interpretation to situations. Look at it and think about – or write down – as many individual symbols as you can find. Place a few of those symbols together as a metaphor and think about – or write down – what that might mean when applied to the world. Do the same thing – recognise symbols and metaphors – apply them to a situation. Now take any symbol or metaphor from one card and pair it with any symbol or metaphor on the other card. What interpretation comes to mind when you try and sense meaning in the relationship of this pair of symbols or metaphors? A young woman reaches out to catch a falling star. A fountain is pouring water into eight cups from one large central cup. A crescent moon and stars are in the sky. The ground is cobbled with stones and mountains are in the distance. I take the symbol of catching a falling star to mean that dreams are within reach. The fountain is a positive symbol because it is endlessly filling the cups. The cups are symbols of emotions, so are being fulfilled. The whole metaphor is one of happiness, having good emotional satisfaction within reach. A naked witch with a large hat rides a broomstick quickly across a background which is six swords. They have butterfly-handles. The butterflies appear to have eyes on their wings. Four roses make a garland above the scene. The symbol of the witch means to me that there is a rapid and natural progress being made in the situation. The swords are symbols of thought and have been placed in the background. I take this as a metaphor for doing what comes naturally, going with the flow and not being caught up in logic or arguments. I take the shooting star from the 9 of Cups and the flying witch from the 6 of Swords. Together they both represent natural forces and very fast movement. I interpret them together as meaning “allowing things to happen in their own time, keeping a watchful eye, and welcoming what happens naturally will bring about fast progress”. I might further add a commentary on my interpretation, which is “… so do not force things, do not rush and do not make things more complicated”. Look up symbols in a good symbol dictionary or dream interpretation book; all symbols have common sources, usually based on the attributes of the objects. The Sun is light and gives life to things, these are its natural attributes. So, we further attribute “positivity” and “growth” to it. Another attribute is that it is at the centre of the solar system, so it becomes a symbol of the self, at the centre of our system of personality. Intermediate or Advanced Readers will recognise this method as a variation on “pinpointing and bridging” which we developed for beginners and use in several books and our tarot training. An intermediate/advanced exercise would be to lay out four cards in a square, and practice pairing symbols between each of the two pairs them, then pairing the two resulting interpretations to result in one overall interpretation. Wonderful series …so powerful exercises ..I m totally loving it. Wish you could share something similar about lenormand too. Great work Markus. God bless you.